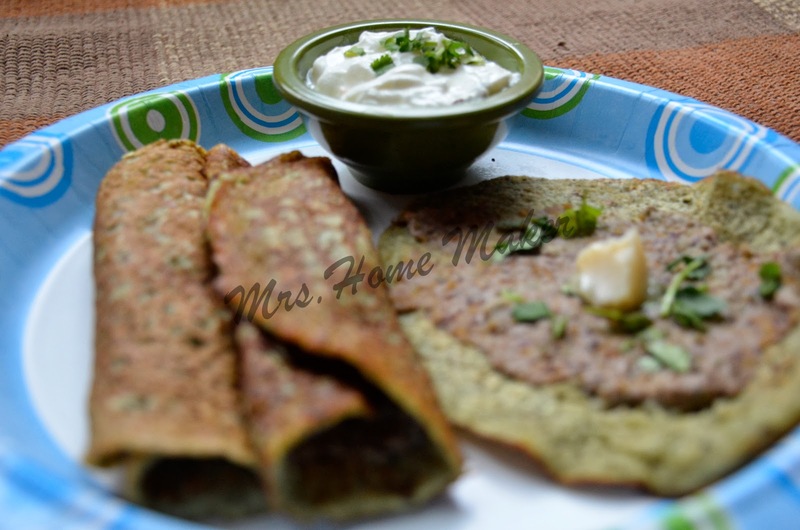 A traditional recipe pesarattu toped with masala gives you a different flavor. Whenever I see 'Green' Color this poem comes into my mind. 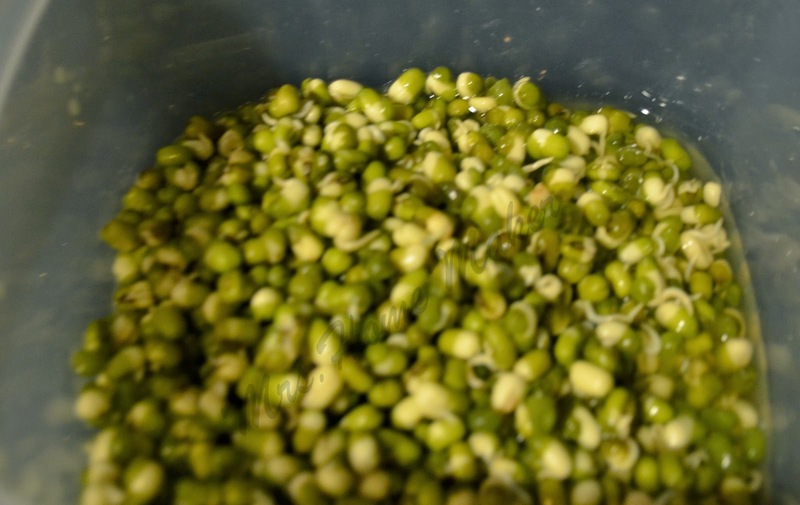 Soak green gram overnight and rinse 3- 4 times in water. 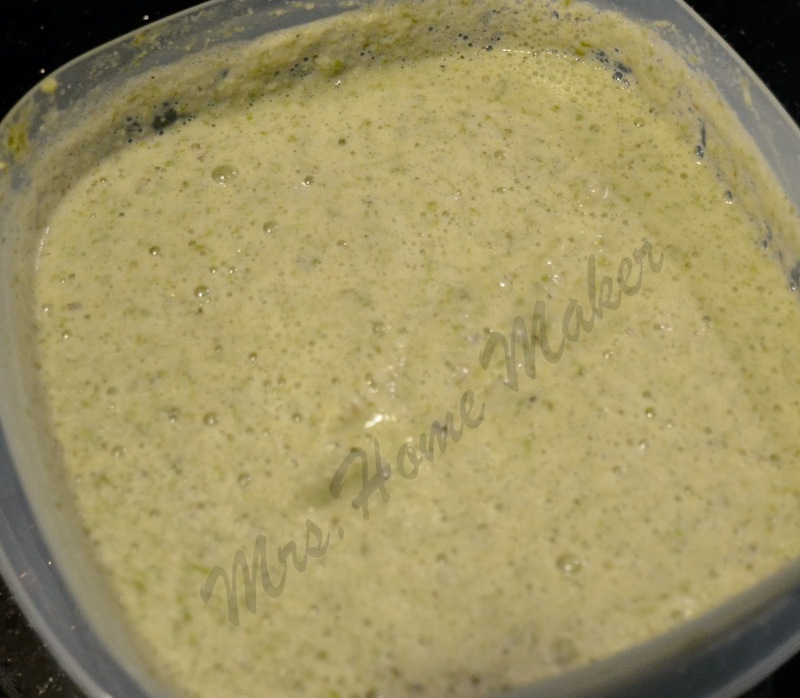 Next day, grind it to form a smooth paste using little water to get batter consistency. Mix salt and keep it aside. 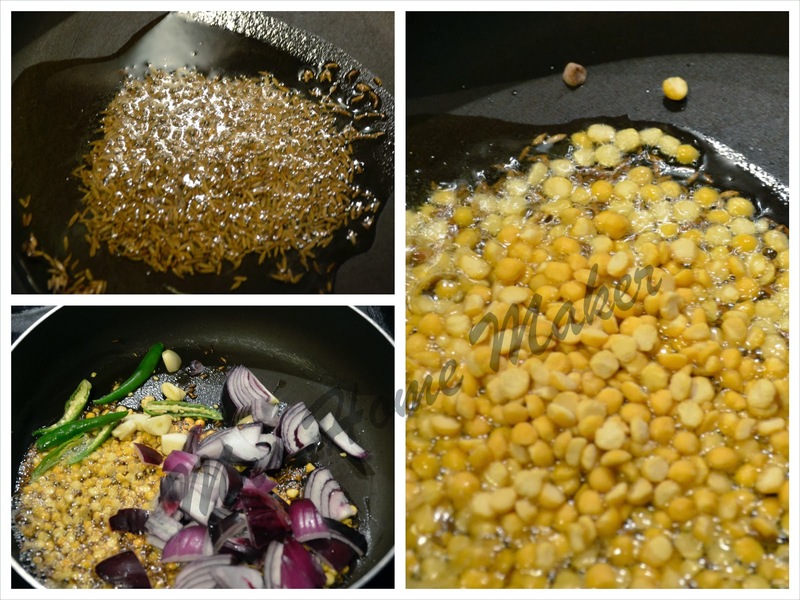 In a pan, add cumin seeds, channa dal and saute them at medium flame. 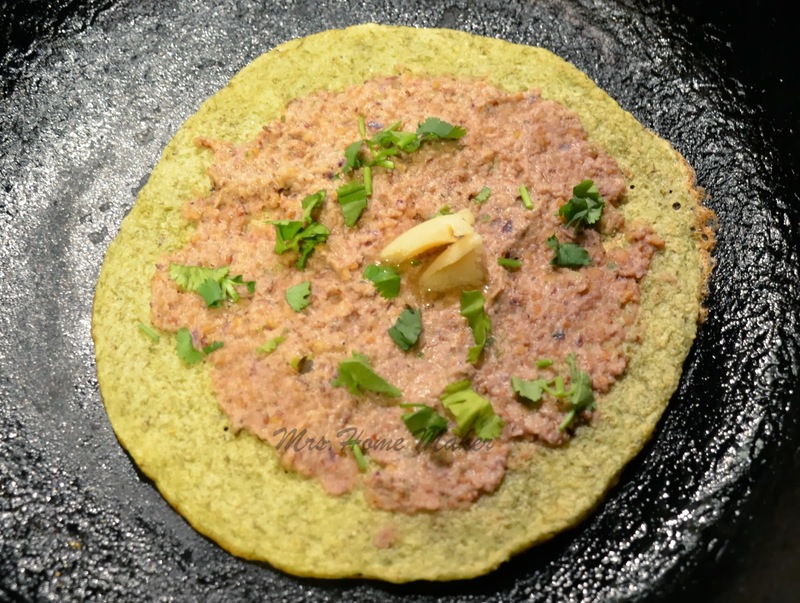 Now add onions, garlic pods, red chillies and fry it for few minutes. Remove and cool. 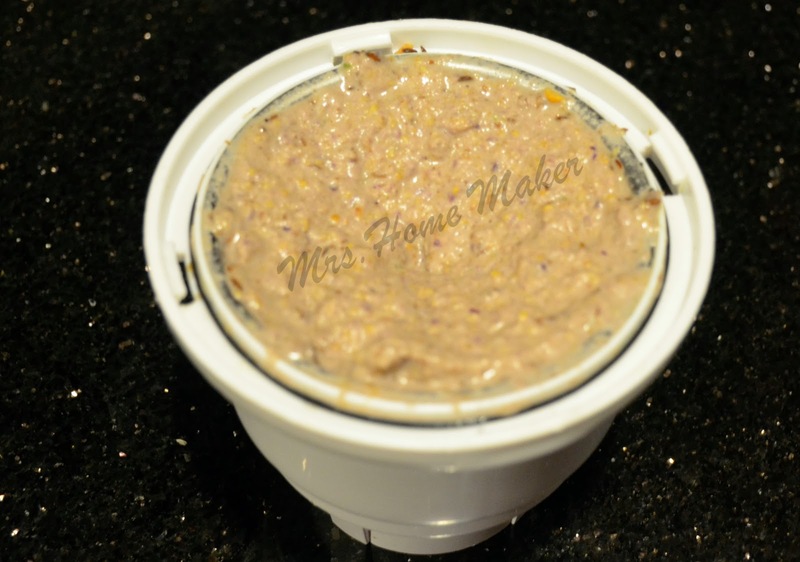 Place this cooled onion mixture in a blender and grind to make a fine paste. Step 1: Now heat a non- stick pan. Apply 1 tsp of oil. Take a big spoonful of batter and pour it on the pan. 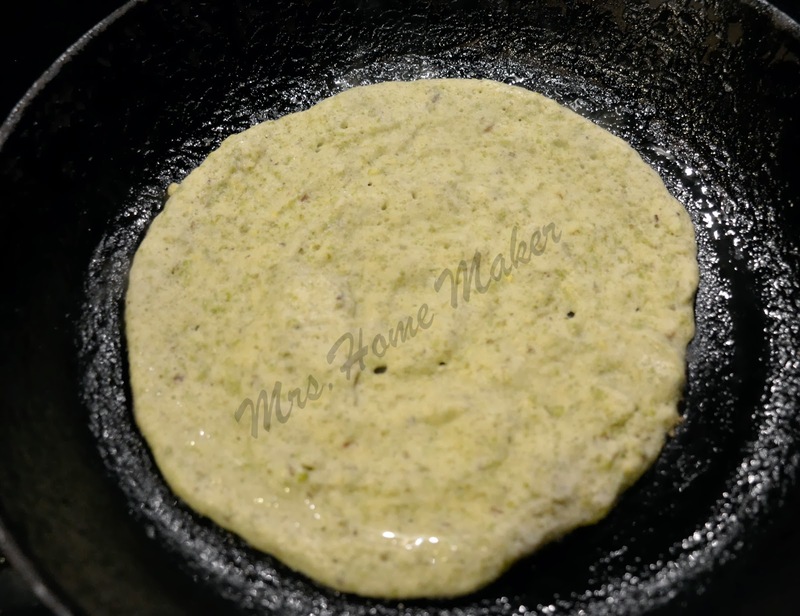 Step 2: Quickly spread the dosa batter in a circular shape to form a thin layer. Step 3: Drizzle some oil in the edges and leave it for 2 seconds. Step 4: Flip and cook the other side also for few seconds. 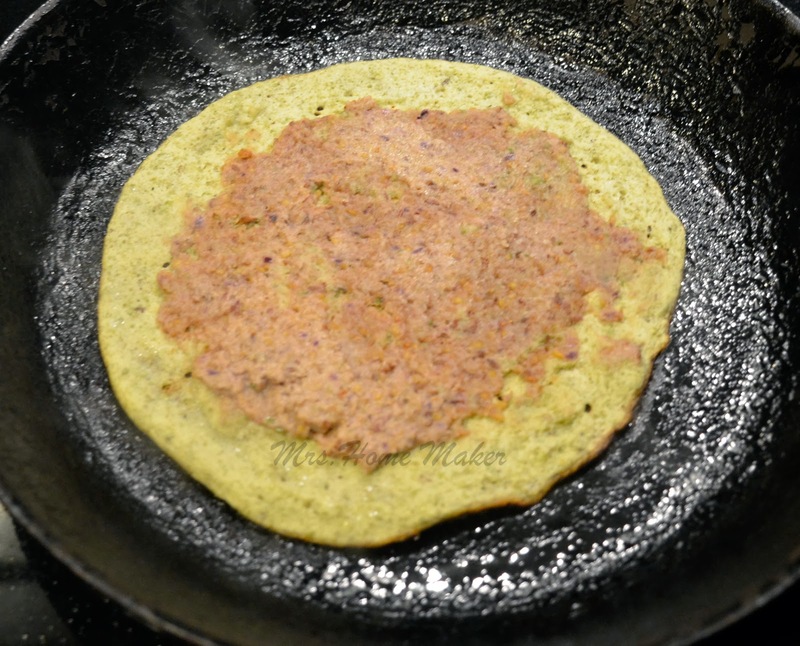 Step 5: Flip again, now spread the masala paste evenly on the dosa. 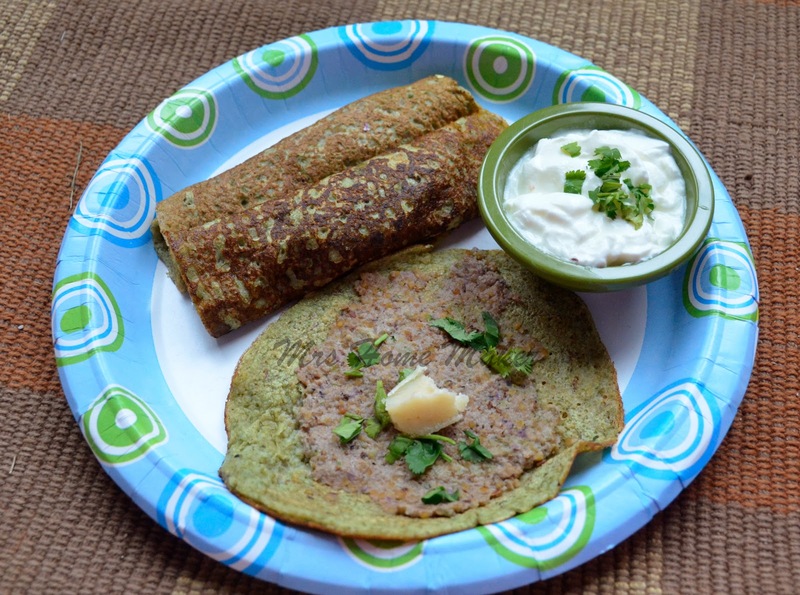 Step 6: Sprinkle some coriander on top of dosa and serve hot. 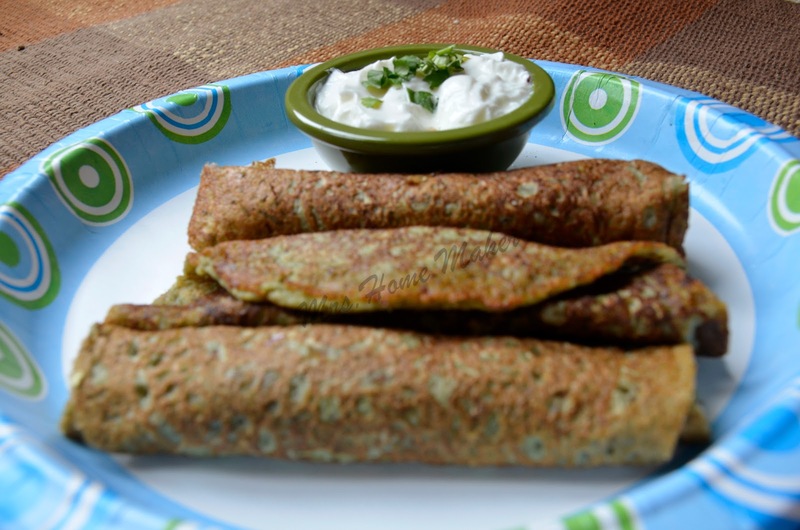 I prefer eating this with curd because we already added masala in it.